Employees of the FSB Department of Russia detained a 31-year-old man who was engaged in passenger transportation on the Kyiv-Simferopol-Sevastopol route and was allegedly recruited by an officer of the Security Service of Ukraine. The Russian Ministry claimed that the detained Leonid Kaplun agreed to cooperate with the Security Service of Ukraine while passing border control at the checkpoint Kalanchak. Kaplun was instructed to collect and transfer information to the Ukrainian secret service about the deployment of Russian military units, the movements of military equipment in the Crimea, as well as the strength of border guards serving in the checkpoint Armyansk. Russian security officials said that “the spy did not have time to commit a criminal act.” Therefore, no criminal case was initiated against him. Kaplun was expelled from the Crimea and banned from entering Russia for 20 years. 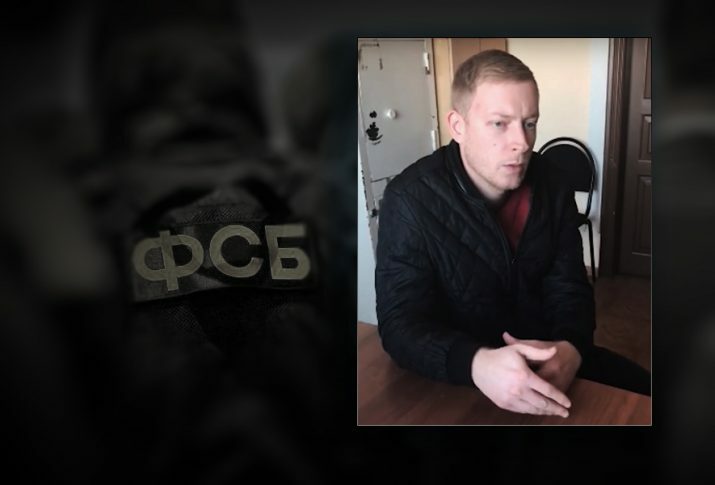 A video with the detainee appeared in the network, where he retells the official statement of the FSB. In turn, the Head of the press service of the Security Service of Ukraine, Olena Gitlyanska, told QHA media that the information about the alleged exposure and detention of the SBU agent is not true. This is another fake they are distributing. It is absurd in itself. I have nothing more to comment on. It is worth noting that the FSB of Russia regularly reports about the detention of the “agents” of the SBU.